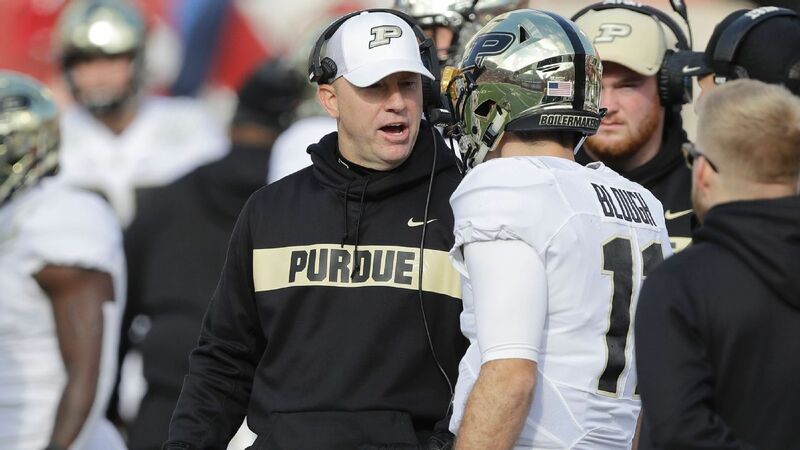 Purdue coach Jeff Brohm confirmed his commitment to Boilermakers on Saturday even though he was mentioned as a leading candidate for coaching management in Louisville, his alma mater. Brohm has been named Louisville’s best choice to replace Bobby Petrino, kicked November 11 after the team’s 2-8 start. Brohm grew up in Louisville, played Cardinals quarterback and attended the same high school as Louisville Atletic Director Vince Tyra. His father, Oscar and younger brother, Brian, both played a quarterback at Louisville. Purdue star recipient Rondale Moore told Rivals .com that Brohm told the team “there’s nothing to worry about” about his future. 3-12 on two seasons at Purdue and 43-22 overall as an FBS coach.